Enough about the Publicis Omnicom merger failure, it was news that nearly half of media agency staff would leave their employer that grabbed Jed Glanvill’s attention. There was a rather depressing but revealing statistic from the Best Companies Ltd founder, Jonathan Austin, last week that a whopping 45 per cent of media agency staff would leave their employer this year if another role came up – and these were the ones brave enough to own up to this in a management survey. Predictably, POGOFF dominated the news, but I think the Best Company findings are actually more significant and concerning. I also think the stories are related. One can only guess as to the shenanigans that went on behind closed doors at Publicis and Omnicom, and many have already speculated as to why the marriage was not consummated. It struck me from the start that the upside of the merger for employees and clients had never been convincingly articulated – in other words, passing Jonathan Austin’s test of companies needing to exist for something over and above making money. If you are sat near the bottom of any organisation (not just in adland), any decisions and deals that are done at the top are naturally treated with suspicion. Is this really about me and my opportunities in the future or actually solely about the interests of those at the top and that of the shareholders now? Talk of a merger, not least with a competitor, lights the blue touch paper to job insecurity and active consideration of other roles. It may well be that the Best Company results were skewed by all this merger and related consolidation talk, but to brush it aside as so would be naïve. The Future of Media talent panel at the 360 conference were impressive in articulating what needs to be –and for good agencies is being – done to attract, keep and motivate the best people. In my experience you can never do enough, being as it is, much more than simply spending more money and time on these initiatives. It’s more fundamental – it’s about a company’s culture. There is a pathway to improvement, and forward-looking holding companies are best placed to take it. Of course the realities of life mean that every employee wants to get paid more, but taking that as a given, it takes only a small nudge, for good people at least, to get to what is nearly always causing the itchy feet – how can I learn, progress and develop faster? What could be more positive? Let’s not be naïve, there are realities of corporate life too. Quoted companies need to grow and make more profit. Some approaches, however, are more rewarding than others. In our sector, media has driven convergence, and all disciplines have a media angle now. You really can’t talk about one without the other and surely this is where the mergers of today should occur? Not one giant mega-corporate deal, but thousands of everyday mergers of individual minds and skill sets. This is not to underplay the value of genuine craft skills in all the marketing communications disciplines, but to recognise the sum of the unrestricted parts as being so much more. As I say, the holding companies are best placed to crack this new “merger of minds” approach, accepting that real structural and political barriers still exist. So here lies the connection between a failed mega merger and talent retention. What better way to break these internal barriers down than with a generation of individuals that are free from legacy internal antipathy, via a commitment to real development, training and job swap across all disciplines for all those that are still willing and able to learn? My guess is that in the future, commercial intra-group structural consolidation will be so much more easily achieved once this cohort of shared experience and trust is established. Not forgetting, most importantly, the product will be so much more relevant and valuable for clients (!) in this media-converged world, whilst giving talent more chances to diversify, learn and progress. The failed Publicis and Omnicom merger is reported to have lost $200m plus in fees, and so much more no doubt in diverted senior management time. How much stronger would both groups be now if they could roll back time, ring fence their half of that money and instead have invested it in kick-starting a holding company programme of mini mergers of minds learning and development programme across the globe? I am sure, as a direct consequence, their respective shares would now be worth staying loyal to for longer. 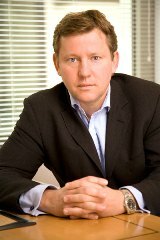 Jed Glanvill is a former CEO of Mindshare, and founder of glanvill&Co an interim talent management firm operating in the media sector.